Pardon my continued discussion of Sunbelt Rentals, but it's kind of important. (b) that the covenant supports a recognized legitimate business information of either: (i) near-permanent customer relationships the employee would not have had access to but for his employment; or (ii) use of confidential business information. The other appellate district dispenses with requirement (b). My point all along is that it is almost impossible to assess the notion of reasonableness without asking the employer to articulate what it is trying to protect. I think, as do many lawyers, that the legitimate business interest test is dated and incomplete. And I am fine with reformulating the test entirely, but at some point, an employer has to show what the protectable interest is for anyone to assess whether it's reasonable. Illinois, it turns out, is not the only state to run into this precise issue. Michigan has the same dispute, though it doesn't appear to have been discussed much. The case of Teachout Security Svcs., Inc. v. Thomas notes that Michigan courts have struggled to define the role of a legitimate business interest in the non-compete analysis. In that case, a security firm sought to enforce a non-compete agreement against its ex-employees. The employees prevailed on summary judgment, as the trial court found that the employer was trying to limit its employees' general skill and knowledge, not the use of anything proprietary. The employer argued the trial court did not have to do anything more than analyze whether the covenants were reasonable. In support, the employer cited another Michigan court that bought into this argument - effectively the identical argument that the court in Sunbelt Rentals accepted. The Court of Appeals of Michigan, though, disagreed and held the trial court was correct in considering whether the employer had a "reasonable competitive business interest justifying the non-compete agreement." The statutory framework in Michigan had to influence the court's decision and renders a Sunbelt Rentals-like analysis hard to fathom. 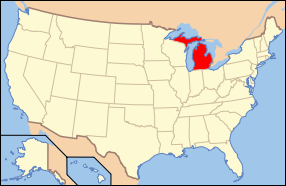 For instance, Michigan's statute specifically states that "[a]n employer may obtain from an employee an agreement or covenant which protects an employer's reasonable competitive business interests..." Accordingly, the Legislature has conditioned enforcement on an affirmative showing of what the employer is trying to protect through a non-compete.